16. Turkish General Election Results Mean Big Changes – Hopefully. 23. Turkey elections: A coalition looks likely – but what kind of coalition, and how will affect the war in Syria? 24. Turkey’s election: What happens now? 25. Opinion Journal: What’s Next for Turkey’s Kurds? Six elections monitors who took part in a delegation to observe the Turkey general election last weekend have returned to the UK after a stunning result took the pro-Kurdish HDP into Turkey’s national assembly for the first time. The delegation included: Sean Hawkey, official representative of the Green Party for England and Wales; Melanie Gingell, human rights lawyer; barrister, Doughty Street Chambers; Dr Thomas Jeffrey Miley, Lecturer in Political Sociology in Department of sociology at Cambridge University; Bronwen Jones, family and immigration barrister at Mansfield Chambers; John Hunt, Journalist, writer, and editor; Dr Austin Reid, consultant in international university development. Months of political uncertainty, blood letting and infighting are set to strike Turkey after no party achieved a single majority in national elections amid a national backlash against the authoritarian rule of President Recep Tayyip Erdogan. As parties geared up for a period of intense negotiations to secure a coalition government, there was one normally ubiquitous figure absent. Mr Erdogan had failed to appear with the same frequency he had in the days leading up to the election which centred on his bid to reform Turkey’s constitution and extend his presidency. Key events on the day of and the day after the election. Turkey’s Roma and Yazidi populations will be represented in parliament for the first time, as main opposition Republican People’s Party (CHP) Roma candidate Özcan Purçu and Peoples’ Democratic Party (HDP) Yazidi candidates Feleknas Uca and Ali Atalan all secured seats in the June 7 elections. Speaking to the press, Purçu underlined his party’s votes increased threefold in İzmir’s Roma neighborhoods, but expressed resentment over the nationwide results. “To us, the outcome of the elections is bittersweet. We were expecting to get over thirty percent of the votes,” Purçu said, while adding how proud he was to become Turkey’s first Roma deputy. Turkish voters delivered a dramatic blow to President Recep Tayyip Erdogan and his ruling Justice Development Party on Sunday, with results showing it losing its majority in parliament. And, in a historic first, a party dominated by ethnic Kurds surged into the Grand National Assembly in Ankara, marking a new moment in the evolution of Turkey’s democracy as well as a direct challenge to Erdogan’s own ambitions to consolidate power as president. Turkey’s Kurds are hoping the electoral success of the pro-Kurdish People’s Democratic Party (HDP) will advance their standing in parliament and spur a stuttering peace process to end decades of violence in the southeast. Sunday’s election saw the HDP win seats in parliament for the first time as a party rather than as a group of independent MPs. The party passed the 10-per cent threshold for parliamentary representation to win 80 seats in the 550-member chamber. While Selahattin Demirtas’s People’s Democratic Party, or HDP, won just 13 percent of the vote, the young human-rights lawyer presided over a series of firsts. His party is the first with roots in Turkey’s predominantly Kurdish southeast to have won seats in parliament by passing a national threshold. In doing so, it also ended the AK Party’s 13-year-old majority in the legislature. The HDP championed a new style of inclusive politics, fielding Turkey’s first openly gay candidate and a higher proportion of women than its rivals. And shortly after the 100th anniversary of what Turkey denies was an Ottoman-era mass genocide of Armenians, it won seats for two lawmakers from the minority group. A string of bombings targeting Turkey’s pro-Kurdish party during its campaign to enter parliament has been linked with Islamic State of Iraq and the Levant (ISIL) group in Syria, the party’s chairman said on Monday. Three people were killed in two blasts on Friday in the mainly Kurdish city of Diyarbakır in southeast Turkey, minutes before Selahattin Demirtaş, head of the Peoples’ Democratic Party (HDP), addressed a political rally. Jolted by the abysmal state of democracy and fundamental rights, the European Parliament (EP) overwhelmingly approved a critical progress report on Turkey, urging Ankara to “respect media freedom, free expression and judicial independence” while expressing its satisfaction with the recent parliamentary election. “Turkey must put its reform process at the center of domestic policy choices and commit ‘unequivocally’ to democratic rules and principles, which are at the heart of the EU, say MEPs in a resolution on the progress of reform in Turkey in 2014,” a statement on the EP’s website said on Wednesday. Ankara will return the European Parliament (EP) report on Turkey, the European Union affairs minister said. “We don’t accept the report and will return it,” Volkan Bozkır told reporters on June 10. The Foreign Ministry also stated that the EP reports is one of the most “unfortunate” decisions taken by the body. More than half of the amendment proposals for Turkey on the report have taken place in the text, the minister said. “The EP report is merely additions to the progress reports by the European Commission. What was lacking in the progressive report was added to the EP report,” he said. 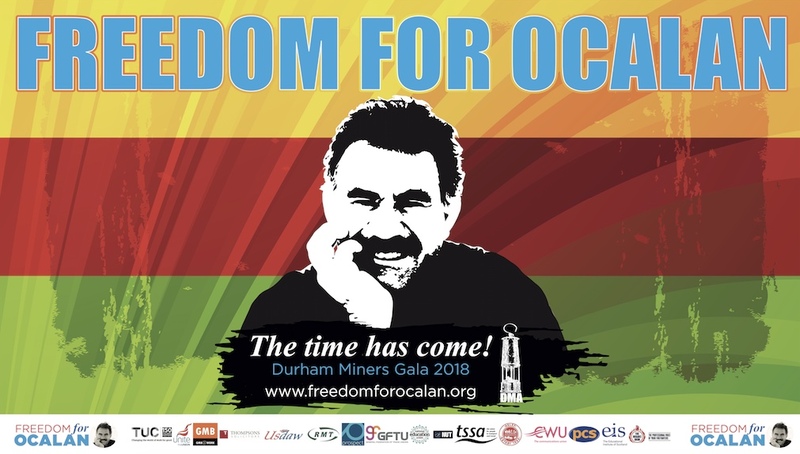 The University of Strathclyde Students’ Association (USSA) has recognised Abdullah Ocalan, the founder and leader of the Kurdistan Workers’ Party (PKK), for his fight for freedom, justice and self-determination of the Kurdish people, for which he has been imprisoned by the Turkish state since 1999. Ocalan has redefined the historic struggle of the Kurds as one of achieving democratic autonomy and called for dialogue between the PKK and Turkey with the aim of replacing armed conflict with democracy and reconciliation, continuing his life long fight for freedom, equality between peoples and recognition for the Kurds. Sinn Féin international spokesperson Pat Sheehan has called for forthcoming Turkish elections to consolidate and develop peace process. Speaking today Mr Sheehan said: “On Sunday, 7 June, the people of Turkey will face crucially important elections. “It is imperative that this process is open, free and fair without any political or legal obstructions. 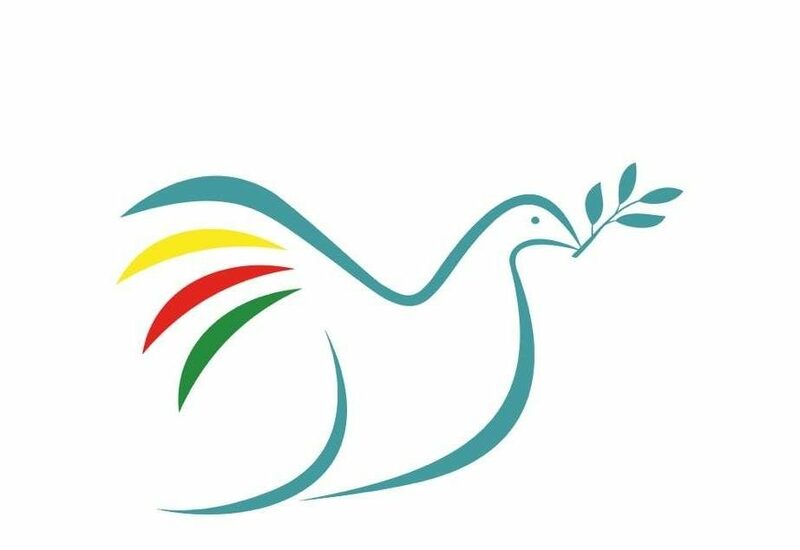 “Whatever the resulting democratic will of the people may be, there needs to be a focus, by the incoming government, on strengthening the on-going peace process with the newly elected Kurdish representatives. All mandates must be respected. GMB Congress extends its solidarity to the HDP and sent a message of support to the party on their success and the challenges that lie ahead. The 98th GMB Congress in Dublin welcomed the success of the HDP in the 7 June Turkish general election where it achieved 13% of the vote on a stance of pluralist democracy and a peaceful resolution to the Kurdish Question within Turkey and for an end to the support for ISIS in the Syrian conflict. The HDP has successfully built a broad alliance including Kurds, other minorities, workers, women and LGBT campaigners. Amongst their 80 elected MPs are Kurds, Turks, Armenians, Christians, Yezidis, Muslims and even one Roma, with the highest proportion of women ever elected. News reports are saying that with over 90% of votes cast the ruing AKP has failed to get a majority of votes never mind the 60% of votes they wanted to give them the ability to not only form the government on their own but to change the constitution of the state on their own. The main success seems to be the HDP (People’s Democracy pParty) which has for the first time broken through the 10%-of-votes barrier to enable it to get MPs elected. On the 11 to 12% result they should get around 80 members of parliament. This is the first time an openly kurdish supporting party has had representatives elected. Previously only candidates standing locally as independents were elected. The Turkish people have spoken in an honest and democratic election, so it is now time to implement what they want. All parties must compromise and take some major steps to solve the KURDISH problem in Turkey among others by resuming the peace process between the government and the imprisoned PKK leader Abdullah Öcalan. The AKP must take serious steps towards granting Kurdish rights, but also the HDP must not lose its momentum. Recep Tayyip Erdoğan is the most formidable vote-winner and election conjurer Turkey has ever seen. He founded his own party, led it to three absolute parliamentary majorities as prime minister, then last year performed a Putinesque sidestep to become the country’s first directly elected president with more than half of the popular vote. The general elections held on June 7 might prove to be a milestone in the troubled history of multi-party democracy in Turkey. As readers may be aware, that democracy was a product of the circumstances prevailing after World War II and was fashioned in accordance with the requirements of the cold war. During the following decades, when it was expedient, multi-party democracy was cut short several times through the intervention of Nato’s second largest army, and put on hold. Following which, there would be attempts to initiate a more ‘controlled’ arrangement, intended to keep any opposition to the regime in check. NPR’s Robert Siegel interviews Soner Cagaptay, director of the Turkish Research Program at The Washington Institute, about the rise of the Kurds in Turkey and the recent elections. So it’s official now: the pro-Kurdish People’s Democratic Party (HDP), a fairly marginal political group just a year ago, has suddenly emerged as the big winner in the Turkish parliamentary election. It has managed to rack up some 13 percent of the vote and thereby taking 80 out of the 550 seats in parliament. This has effectively stripped President Recep Tayyip Erdogan’s AKP of its parliamentary majority and undermined the political prospects of the Middle East’s once most successful partisan president. It’s too early to predict the outcome of this victory, now that a very large mechanism, the so-called Kurdish factor, has been activated in the region. The mould-breaking outcome of Turkey’s general election on Sunday will be viewed as a personal rebuff for the president, Recep Tayyip Erdoğan, and as a historic political breakthrough for the country’s 18 million-strong Kurdish minority, which will be represented by a political party in parliament for the first time. With 88% of votes counted, the ruling Justice and Development party (AKP), which Erdoğan helped to found, appeared to have lost its overall majority, falling just short of the 276 seats required for control of the 550-seat national assembly. Its share of the vote, at around 43%, was well down on the 49% it obtained in 2011. The outcome of the Turkish election affects two pivotal issues facing the government in Ankara: its degree of involvement in the Syrian civil war and its relationship with Kurds, both in Turkey and Syria. Turkey has played a central role in trying to overthrow President Bashar al-Assad since the Syrian uprising of 2011. The 510-mile Turkish border with Syria has never been entirely closed to armed opposition groups including Isis and Jabhat al-Nusra, the al-Qaeda affiliate. Turks rejected a majority mandate for President Recep Tayyip Erdogan and his Justice and Development Party (AKP) in parliamentary elections. But don’t expect Erdogan to be chastened and turn statesman. He will likely continue to foment conflict in his quest for constitutional changes to create an executive presidency. Expect brinksmanship as Erdogan positions the AKP for early elections. U.S. and European officials should discourage Erdogan from reprisals that could inflame tensions and spark violence, creating repercussions in the volatile region. The future of Turkey’s controversial Syria policy has become even more uncertain with the Justice and Development Party’s (AKP’s) loss of a parliamentary majority. Any potential coalition partner with the AKP — still the leading party, although it cannot form a government — will approach Syria totally different than the AKP did. The Republican People’s Party (CHP), the Nationalist Action Party (MHP) and the Peoples’ Democratic Party (HDP) have accused the AKP of becoming a party to the Syrian crisis by arming groups fighting Syrian President Bashar al-Assad’s regime, allowing foreign militants to cross our borders and helping organizations such as the Islamic State (IS) and Jabhat al-Nusra to become prominent forces. In this interview, Joost Jongerden reflects on the Rojava revolution, Öcalan’s leadership role, the position of women in the Kurdish struggle and the PKK. The defense of the Kurdish city of Kobane against the so-called Islamic State (IS) drew worldwide attention. In the middle of the Syrian civil war, the Kurdish movement is attempting an experiment in democracy and self-rule in three areas in the north of the country, together called Rojava. The leading political force in this experiment is the PYD (Democratic Union Party). The town of Suruc in Kurdistan sits on Turkish territory close to the border with Syria. Its nearest neighbour sits across the border. 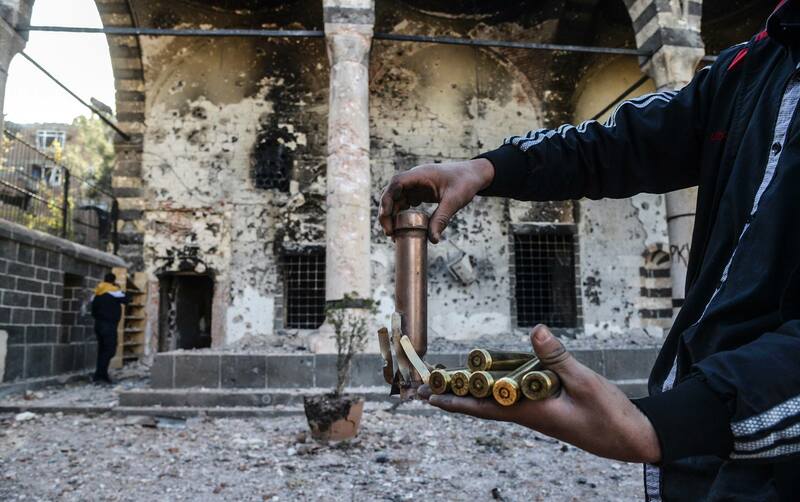 This is Kobane. This Kurdish town and its surrounding villages had a population of around 400,000. In Suruc town centre, there is an art installation around 5 metres high of an arm and hand holding aloft a pomegranate, symbolising the fertility of this region which for thousands of years has produced fruits and foods in abundance. The people of the region recognised no borders separating their two towns until the creation of the modern states of Turkey and Syria by the French and British imperialists who had emerged victorious over the Ottoman Empire. The border followed the route of the railway the French built to exploit the produce of the region, oil as well as fruit. First of all, I should mention a couple of issues in Kurdistan of Turkey (Bakur) that are strongly connected to the subject. Between 08/05 and 22/05/15 I visited a number of big towns in Bakur, including: Amed (Diyarbakir), Van, Colemerge (Hakari) and Gavar. Later I returned to Suruc and was hoping to cross the border to Kobane. My main purpose for visiting there were three important points: first: understanding the similarity and differences between the Democratic Self Administration (DSA) in Bakur and Rojava. Second: Reconstruction of Kobane, and third the type of economy that Rojava can have in the future. Although the friends in Peoples ‘ Democratic Party (HDP) , other organisation and the Working Committees of Rojava in Amed and Suruc tried hard to arrange my trip to Kobane but it did not happen. The Kurds are one of the world’s largest peoples without a state, making up sizable minorities in Iran, Iraq, Syria, and Turkey. Their history is marked by marginalization and persecution. Yet some Kurds may be on the verge of achieving their century-old quest for independence in a Middle East undergoing the convulsions of Syria’s civil war, Iraq’s destabilization, and conflict with the self-proclaimed Islamic State.